The Poetry in Potato Bags project builds on the strong agricultural ties between Malta and Leeuwarden. Leeuwarden sends potato seeds to Malta accompanied by Frisian poetry while Malta sends fully grown potatoes to Leeuwarden accompanied by Maltese poetry. Potatoes grown in Malta from seed which are packed with Maltese poetry are on their way to Leeurwarden, the Netherlands, as part of the Valletta 2018 Foundation’s project Poetry in Potato Bags, which forms part of the Foundation’s Cultural Programme. The potato consignment, bound for the Dutch Frisian region, is accompanied by poems written by seven Maltese poets, as well as poems written by Maltese children who took part in the Dawra Durella Sajf workshops held last summer at the Qawra Aċċess Centre. Workshops were conducted by local poets Emmanuel Attard Cassar and Rita Saliba. Part of the workshops also included presentations on potato growing by local potato farmer Michael Caruana. This cultural exchange of poetry and crops is an innovative collaborative initiative between the Valletta 2018 Foundation, Inizjamed and Potatoes Go Wild, a Leeuwarden-based NGO. 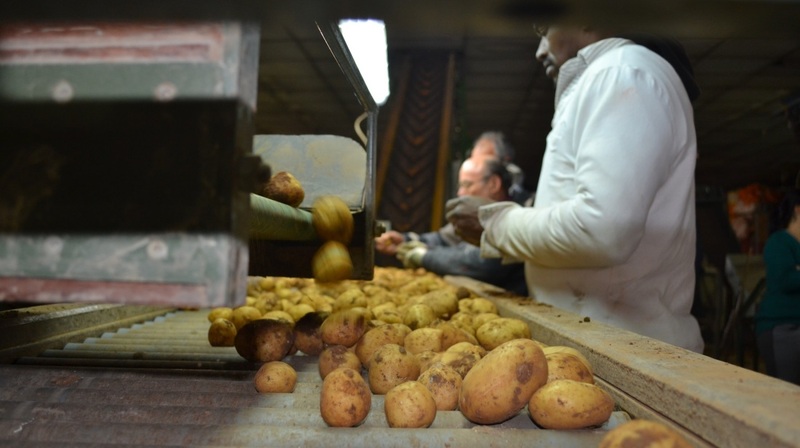 Leeuwarden and Malta have strong agricultural ties as potato crops and potato seeds are shipped between the two locations twice a year. The seven poems bound for the Netherlands include: The potato eaters, Van Gogh by Mario Cardona, Il-patata qiegħda f’ħajjithom by Emmanuel Attard Cassar, Alfa by Simone Inguanez, Il-Frotta tal-Art by Rita Saliba, Fl-Għalqa x-Xiħa by Claudia Gauci, Rozemarijnblad by Adrian Grima, and Patata by Walid Nabham. The Maltese poems will be translated to English, Dutch and Frisian. The Frisian poems arriving with the potato seeds are also translated to Dutch, English and Maltese. This year, children from St Benedict College Qrendi Primary and St Benedict College Helen Keller Resource Centre will be writing Maltese poems to be sent with the next consignment of potatoes. Over the next four years, 10 schools will be engaged to participate in the Poetry and Potato Bags project.